Are you blogging to make money online or for your business? Whatever may be the reason, to maintain, to save time, money and energy you should use right blogging resources and tools. When I was a newbie I tried various tools. I happened to spend money on unwanted resources and realized those were not relevant to me as a beginner. Maybe some of them could be helpful after a year or so. Here I list the complete blogging tools for basic and advanced. This list includes free as well as paid resources. First and foremost step to start a blog is to create a website. You need a domain name and a hosting service to build the website. There are many hosting services available for blogging such as Bluehost, Hostgator, Inmotion, A2 Hosting, Greengeeks. For cheap hosting service, I suggest Hostgator and Greengeeks. But my recommendation is Bluehost. If you are starting a website for business and you have a great budget to invest, you can go for WP Engine or WPX hosting. If you want to start a free website then you can go for WordPress.com and Blogger.com. It is easy to set up the blogging platform without any coding work or technical knowledge. You need to decide what kind of blog you are going to start. When your blog grows you should be able to change the appearance and add more features. Hence you must choose the right blogging platform. WordPress.org is the most popular blogging platform to create a website for business. It is easy to set up and there are thousands of free themes available to use. You also have an option to add an online store, memberships and forum along with your blog. With Bluehost, you can create a WordPress (WP) website just in a single click! There are various blogging platforms are available to build the website for business, personal blogging or micro blogging. If you want your blog to be a professional and want to grow as a business then WordPress.org is the best choice. If you are choosing WordPress.org as your blogging platform, you get thousands of free themes. You can choose themes related to your niche. It is important to choose mobile friendly themes for your website. If you are serious about your business, I recommend going for professional themes when you begin building your website. It is not recommended to install more plugins as it will reduce the loading speed of your website. Install only the mandatory and helpful plugins. Yoast SEO - This plugin optimizes your posts and pages for SEO. It is the all-in-one SEO plugin which takes care of on-page content analysis, XML sitemaps and much more. Google Analytics - It displays Google Analytics reports and real-time statistics in your dashboard. Google XML Sitemaps - This plugin improves SEO using sitemaps for best indexation by search engines like Google, Bing, Yahoo and others. Thirsty Affiliates - If you are creating an affiliate website, then Thirsty Affiliates is a must. It is an affiliate link management plugin which collates and store your affiliate links to use in your content. WP rocket - It improves the speed and user experience of your site. Ultimate Social Media - This is the social media plugin which adds social media icons to your website with tons of customization features. These are the basic plugins required for a beginner. Use either Yoast or Google XML sitemaps plugin. Using both the plugins for sitemaps will create an issue in indexing. You can install the below plugins based on your website and content needs. Ad inserter - This is the Ad management plugin with many advanced advertising features to insert ads and other HTML codes. Subscribe to Comments Reloaded - It enables people who comments to sign up for e-mail notifications. Starbox - It is the author box to be present below your post where you can add your bio with pictures. WP Quiz - This allows you to build quiz easily and insert in your content. Consider the following platforms when you want to build an E-store website. Shopify - This is the E-Commerce website builder helps to build your online store. They provide well-designed themes and powerful tools to build your online store business. Weebly - You can create a professional online store with simple drag and drop builder. It provides a unique online store design with a customizable theme to showcase your products. Weebly +Square - You have both the combined feature of Weebly and Square in one place! Weebly joined hands with Square providing more additional features to build and maintain your online store. Squarespace - They provide all in one platform which gives you complete feature required to build and establish your online brand. 3dcart - This is the best SEO based E-Commerce platform helps to build and grow your online store business. 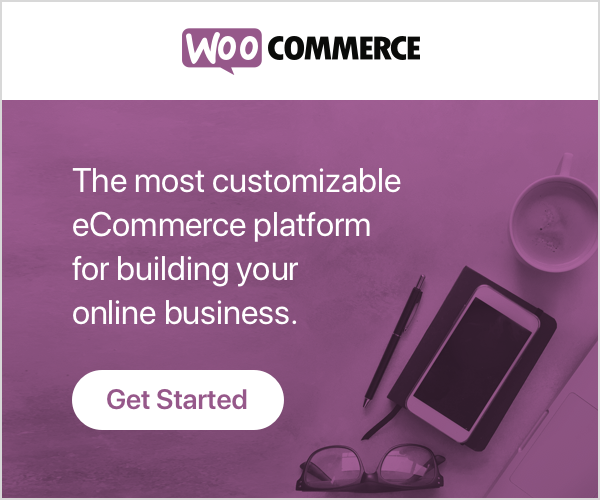 WooCommerce - If you want to add a store along with your blog, WooCommerce is the best choice. Finding the right SEO keyword is the first step in creating content. There are a lot of free and paid keyword finding tools are available. If you are a beginner, it is good to choose long-tail keywords with an average search. Do not choose too competitive keywords for building content. Jaaxy Keyword Finder - If you are a wealthy affiliate member you could be familiar with this tool. This is a simple and easy tool to find niche keywords. There is an option to brainstorm topics from the related keywords. Using the Alphabet soup method, you can generate a lot of blog topic ideas. 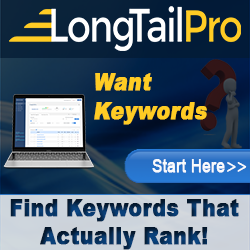 Long Tail Pro - This is the step-by-step system where you can discover thousands of profitable, targeted keywords and calculate the keyword competition for any niche. Google Keyword Planner - It is the keyword research tool that allows you to find the right keywords to rank in Google search engine. Semrush - It is the all-in-one tool where you get the SEO keyword, phrases, Keywords for PPC, long-tail KW, etc. Other than finding keywords, you can get reports for organic and ad search, website ranking, SEO content template, competition keywords and many more. You get a free 7-day trial. Ahref - Using Ahref you can audit your website, explore competitors' KW, research keywords & backlinks. Moz - With this SEO tool you get features such as keyword research, link building, site audits, and page optimization insights. They give a free 30-day trial. Ubersuggest - It helps you generate keyword ideas for content marketing strategy and production. Use these tools to make your content free from spelling and grammar mistakes. Jetpack - Install Jetpack to check spelling, grammar, and style in the visual editor. 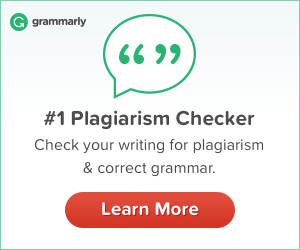 Grammarly - When you install this in your desktop, you can proofread your content in the text editor to avoid spelling and grammar mistakes. Canva -This is the popular design creator tool where you can design your own logo, infographics, flyer, Facebook and Twitter image post and many more. Chartgo - With this online chart maker, you can create rich and colourful charts. CreativeMarket - This is the largest online design market where you get a lot of templates for the logo, cards, invitation, magazines, etc. They also provide themes for all types of website platforms and many more. iStockphoto - You get royalty free images and videos here. There provide both free and paid images. Lumen - You can easily transform blog articles into videos in minutes with Lumen. TubeBuddy - It works as an extension of your browser. You can customize the look of your embedded youtube video or playlist. TubeBuddy has lot features like adding menu inside your YouTube account, find popular tags, provide titles, description to videos and a lot more. Teachable - You can easily create an online course with this powerful and simple all-in-one platform. There are lots of social sharing tools available to share your content. When you use these tools wisely you can drive large traffic to your website. Click to Tweet - Add CTC into the best parts of your content and make people share your post easily. Agorapulse - It is the simple social media management tool where you can engage and publish your content with ease. Social Pilot - This is another social media management tool in which you can bulk schedule your post and manage. Social Snap - With the social snap, you can share your content to over 30 popular social networks. Sharing options are available in different size and position to place in your content. 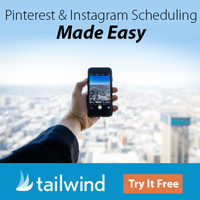 Tailwind - It is exclusively used to share the post using for Pinterest and Instagram. Schedule your pins to reach the maximum audience. 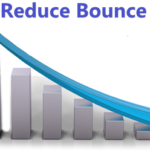 Use tools like Semrush and Ahref, create SEO based content to drive more organic traffic. Get some referral traffic with Webtalk. It is the new social media network which is in the beta stage. Though it is in the beta stage people try to engage and share articles related to their business and niche. Blog monetization is the most integral part of blogging. Once you get a decent amount of traffic you can concentrate on the monetization part. Pro Tip: Re-invest your first few sales commission for blog monetization tools. Email Marketing is one of the digital marketing strategies to get started with monetization. Start using this technique when you get visitors at least more than 100 per day. Effective email marketing converts your website audience into customers. 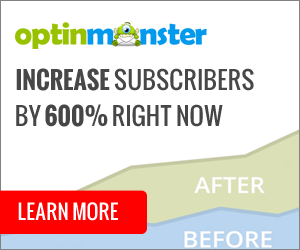 ConstantConstant gives a 60-day FREE trial (no credit card required) for bloggers in the US and Canada! For rest of them, they give one-month free trial when credit card provided. Go ahead and take advantage of this offer! The landing page is the most crucial part of the conversion. It is important to create an effective landing page based on your niche and business. Do A/B testing on the landing pages and find out which works best for you. There are many landing page builders available for sales funnel. 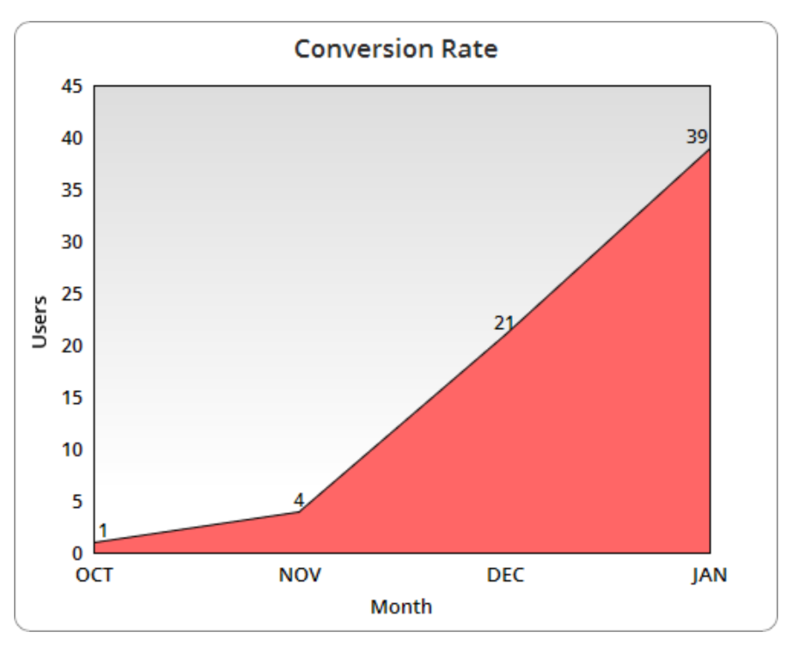 After using Thrive Architect, my conversion rate has been increased drastically. 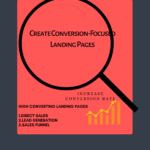 Lead Pages - Grow your business by turning clicks into customers with high-converting landing pages and lead generation with lead pages. Thrive - Creating beautiful, engaging and visually impressive content and landing pages with Thrive Architect. ClickFunnels - You can easily create high-converting marketing and sales funnels with hundreds of templates using clickFunnels. Genius Link - With Genius link you can create a single link for any product in Amazon, iTunes, etc. When the international visitors click the product from your website and buy Amazon products from their local site, you will earn the commission. This way you can monetize from international traffic. Sniply - Sniply adds a custom call-to-action button to any page on the web, thus allowing your followers to engage any page of your website. PayPal - Once start making money with your blog, creating PayPal account is mandatory to receive your paycheck. 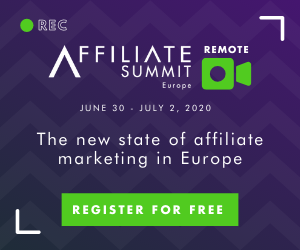 It is safe and better to give your PayPal account details than providing your bank information to the affiliate programs. I believe this post is useful for you. Do drop your comments and about other tools which you find useful for bloggers. Also, share this complete list of blogging tools and resources with other bloggers too! Wow, there’s a lot of plugins I’ve never thought of before! I didn’t even know of some of these, including Google Keyword Planner! I’ll give these a try for my site. I’m pretty new to the blogging scene, but getting traffic is definitely the hardest part for me. I don’t like using social media, but if it’s how I’m going to promote myself, I might as well use it. Wow wow wow! Great post, I’ve shared this one and I’m saving it for myself for reference, great job! Great job of doing the research and creating this article. It is a difficult process to determine what plugins will work for our particular needs. Here is one article that covers many of the options available all in one place. I have found it difficult in the past to determine the best plugin for my needs. Now here they are gathered together in one place for me (us) to review. It is going to be necessary to spend some time reviewing this article to decide what plugins I need. I have avoided adding plugins simply because I did not have the knowledge to make smart decisions about them. Now here is a lot of what I (we) need to be able to make the right choices the first time. Thanks for taking the time to research, create and share this knowledge. Thank you Barry. I am happy this post helped you. Great list, so many resources I have never heard of before. This post is bookmarked so I can come back again. You have shared a nice collection of tools required by the bloggers. I was planning to integrate Email marketing on my new website. Till now I am using GetResponse but planning to go with Aweber for my new website. Please advise if Aweber will be a good choice? Do they a free trial? Aweber is a good choice which has 30 days free trial. 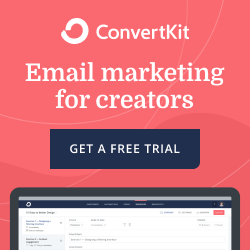 But I recommend Convertkit. Though it has only 14 days of free trial, you have better features like categorizing with tags, etc. You can manually add subscribers which you have collected through other ways. This option is not available in Aweber. This post is so useful to me, I’ve never heard of a lot of these resources and I’ll be sure to come back in the future to keep refreshing my knowledge, I’ll also recommend this page to a few friends who need it1 Thanks for posting this! I cannot say enough how much valuable information I’ve gained from reading this post! I’m new to blogging so there’s a lot I don’t know. I use jaaxy to search for my keywords but moving forward I’ll also be using Google keyword planner in hopes of getting my content ranked there. It’s nice to finally have an article that encompasses an all-in-one information center when it comes to succeeding at creating an excellent blog. I remember my first stabs at a blog and the information I garnered were covered by different articles from different sites, which became frustrating after a while. I’m someone who prefers organization and this article is the one-stop resource, so thank you for that. I’m bookmarking this article for future references as I uncovered some information I’ll need in the future. This is such a great resource. I discovered so many things in this post that I didn’t know about but desperately need for my blog. Chartgo and Creative market are particularly helpful for me as I’ve been trying to add charts and graphics to my blog but have had difficult finding a good resource. Definitely bookmarking this and sharing it with others. Thank you so much! Wow, so much information in just one article! This is surely an article to bookmark for future reference, and I certainly have done so. Thanks for writing it. I don’t seem quite clear on an issue, though. It is the issue of tools like Email marketing, social sharing, and other tools which I must say are quite interesting for their usefulness, and I’d like to ask, are they also plugins? I’d hate to reduce my site speed should I get greedy and load too many of them if they are plugins. Email Marketing and social sharing tools are not plugins. There are service providers(mentioned in the post) help to manage subscribers for email marketing and social sharing. They give a free trial and paid options.